Join us to hear three "new voices from Japan:" Saya Kiba from Komatsu University, Takemasa Sekine of Nagoya University of Commerce & Business, and Akai Ohi of the University of Tokyo, Hosei University and Showa Women’s University. 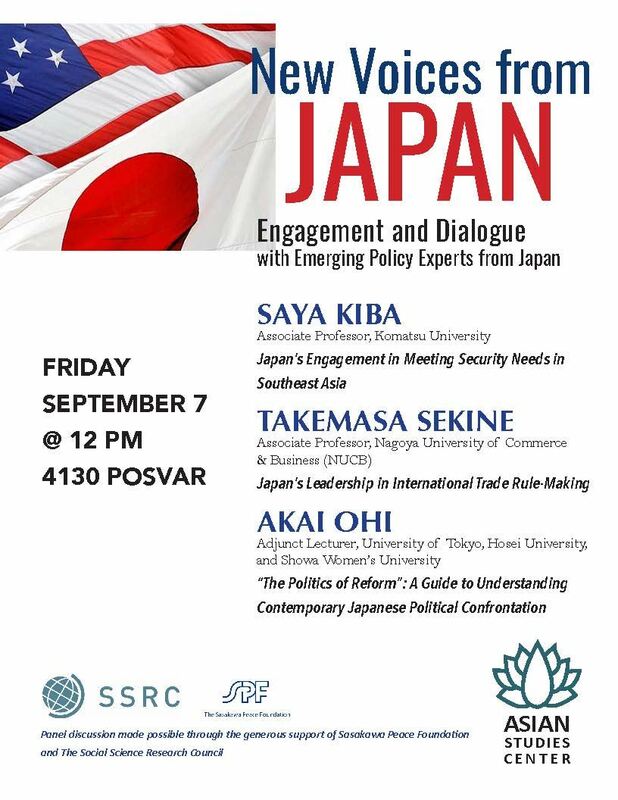 Their talks will encompass Japan’s Engagement in Meeting Security Needs in Southeast Asia, Japan’s Leadership in International Trade Rule-Making, and A Guide to Understanding Contemporary Japanese Political Confrontation, with time for questions after each lecture. Attendance is free and pizza will be provided.